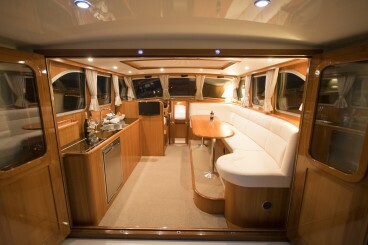 VIP Yacht! 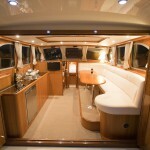 Luxury is standard on this boat! 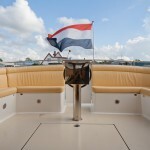 At the Dutchess of Frisia the choice is clear. 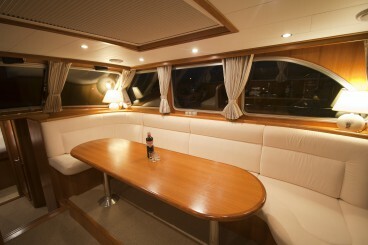 Comfort on board and experience the holiday at its finest are important. 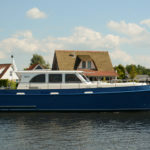 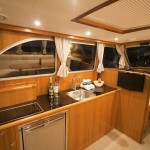 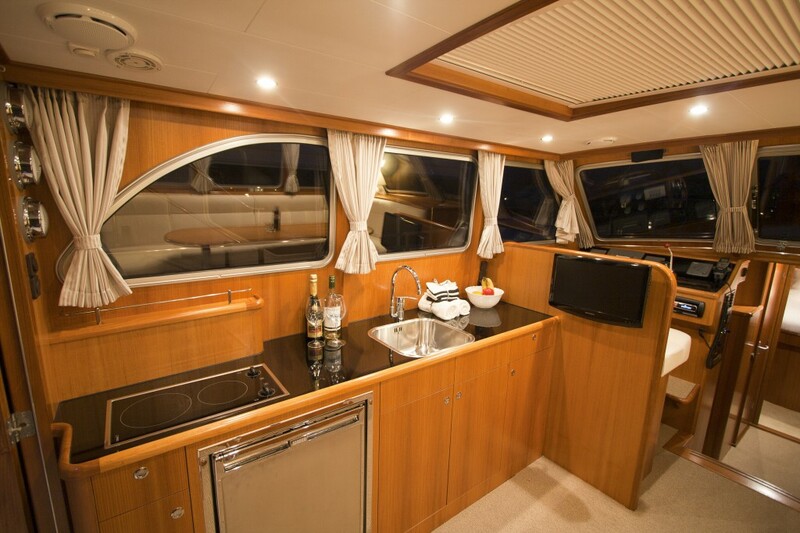 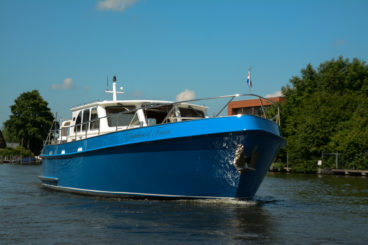 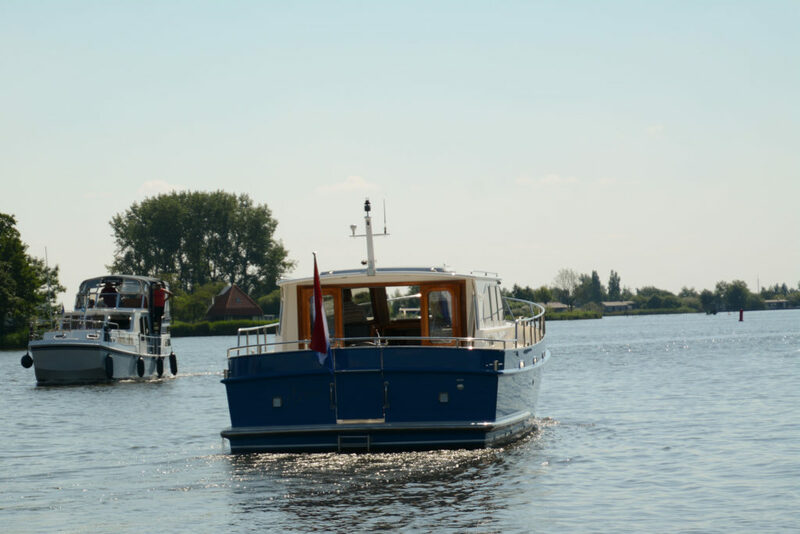 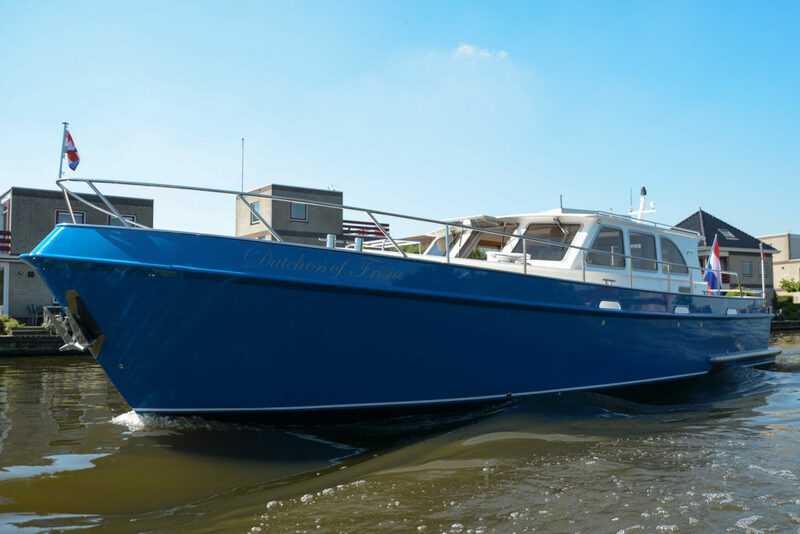 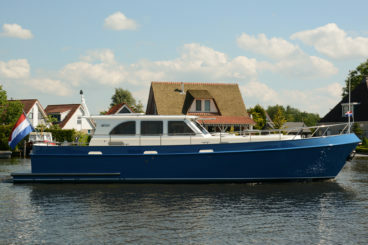 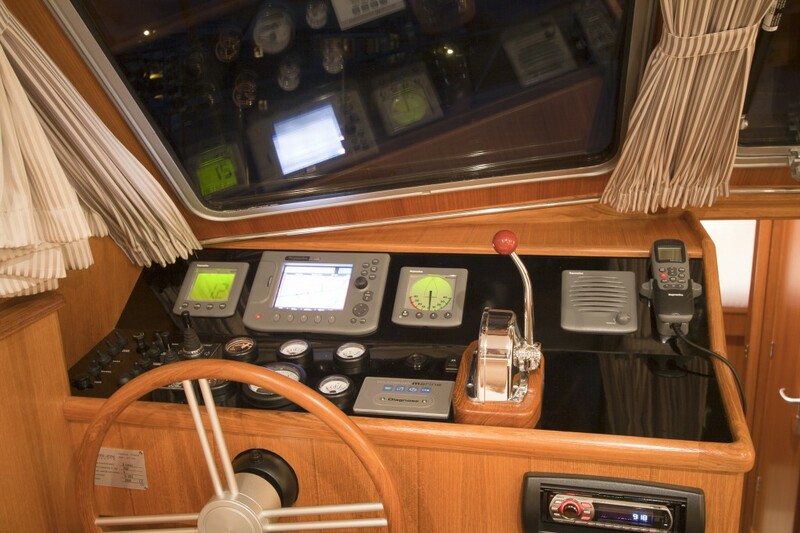 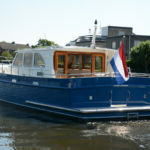 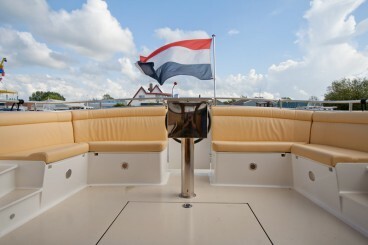 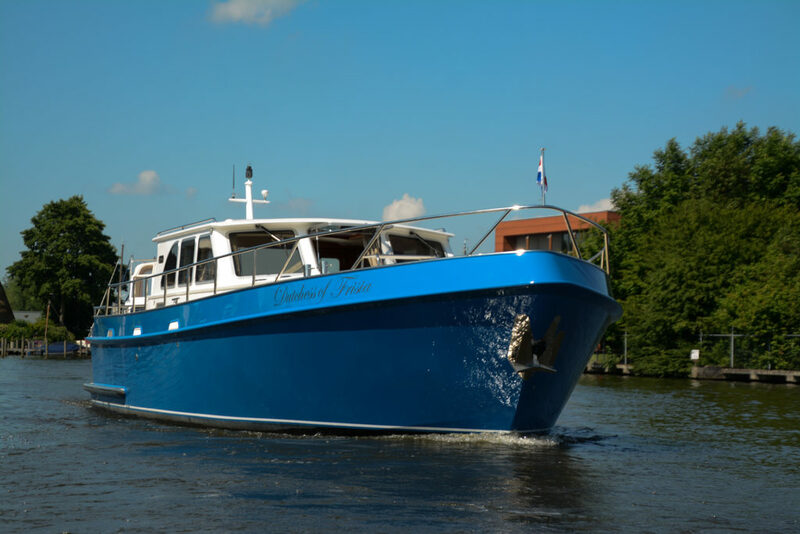 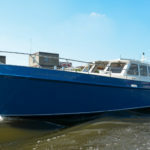 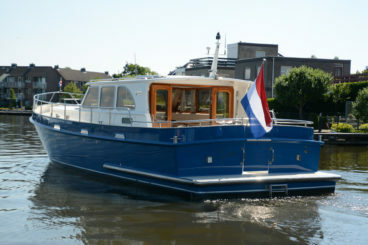 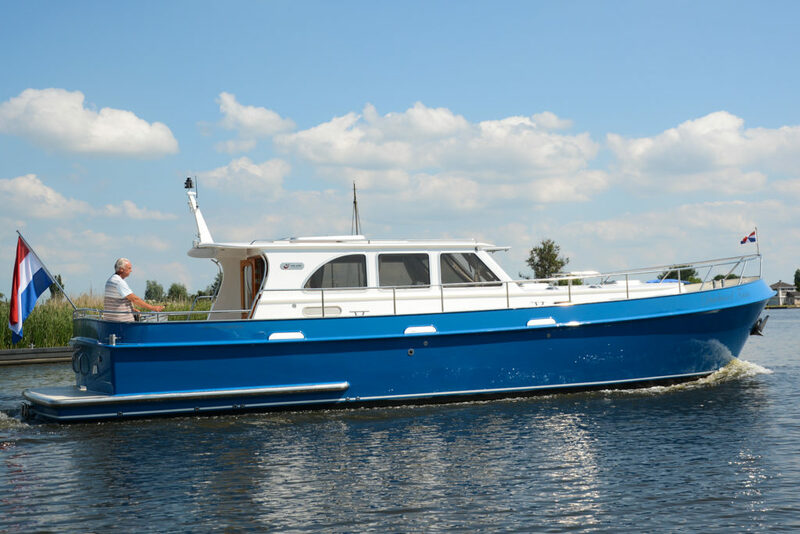 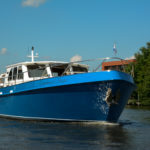 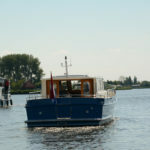 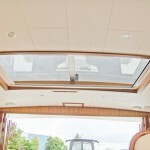 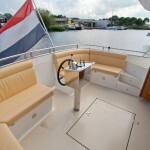 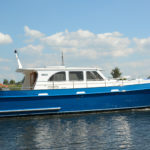 With the open lay out of the ship you have a different way of living your holiday on the Frisian waters. 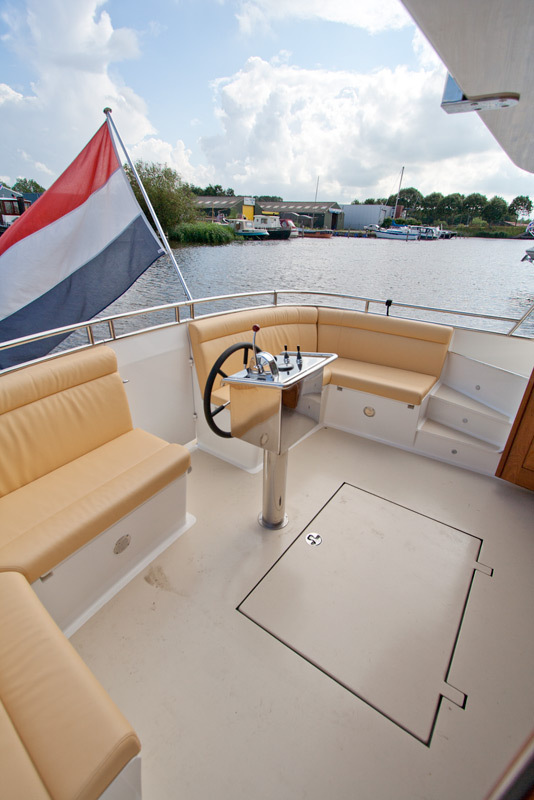 Closer to water, closer to nature. 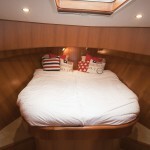 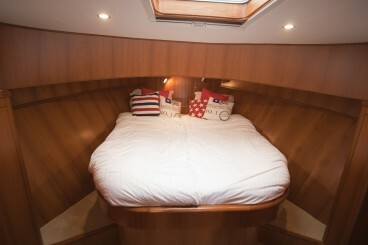 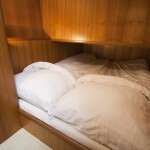 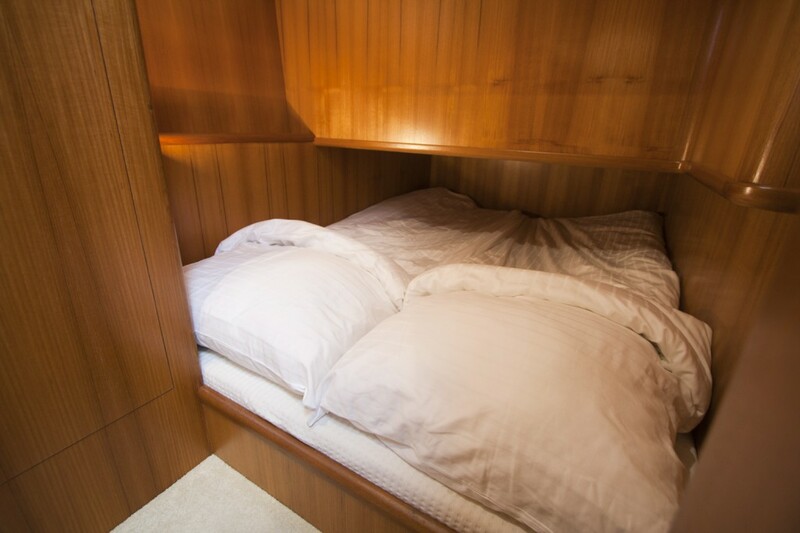 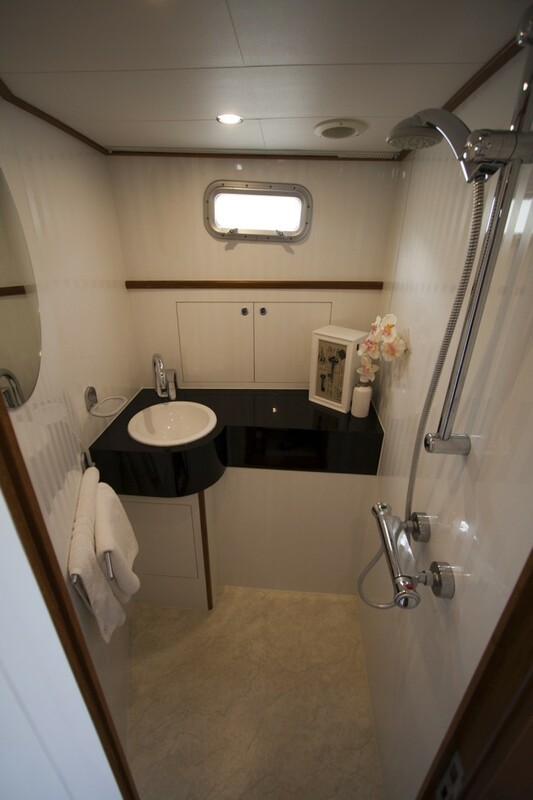 In the front cabin you find a large comfortable French bed, two wardrobes and extra storage space under the bed. 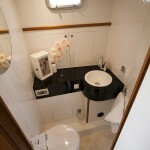 Spacious cabin with large double bed and also a large wardrobe. 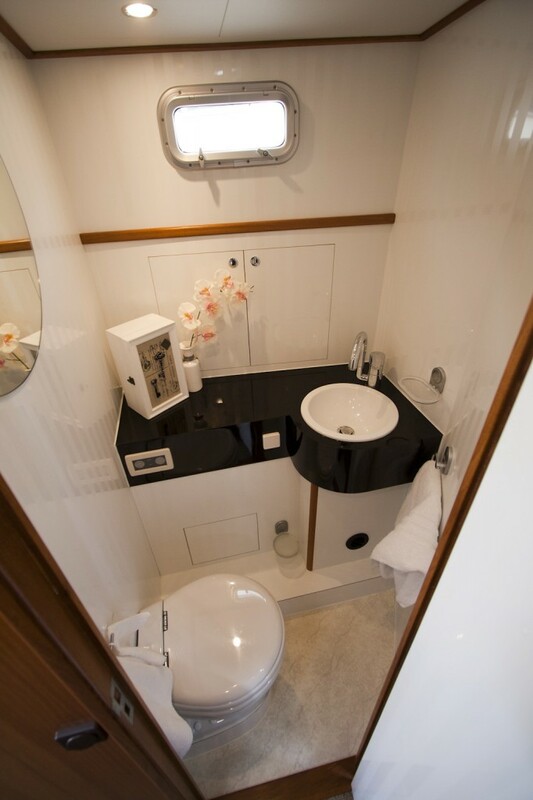 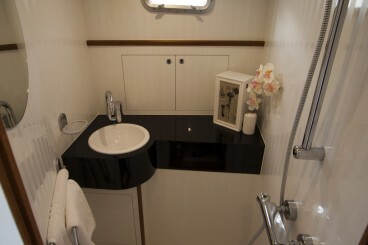 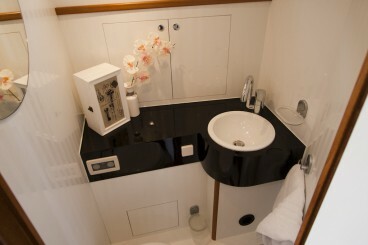 Separate toilet compartment and separate shower compartment. 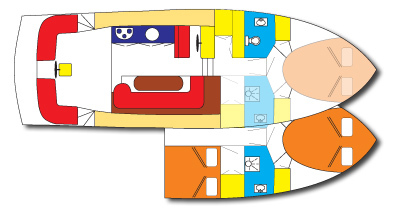 The salon is equipped with an electric sliding sunroof, a spacious and comfortable lounge and kitchen with patio style doors to the open cockpit. 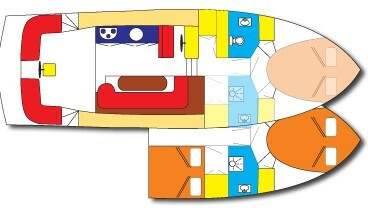 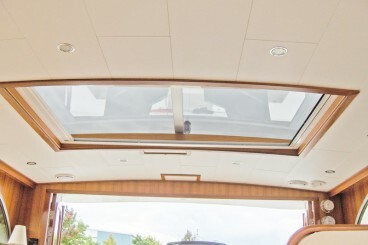 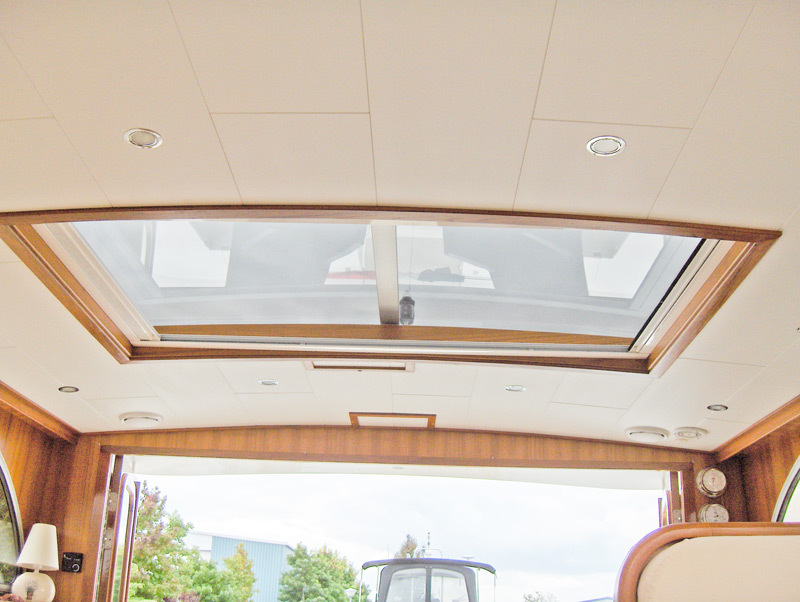 The lack of difference in level pulls all spaces together and brings you a new experience of your holiday on board. 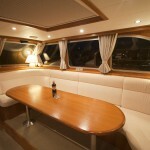 From the saloon you have a beautiful view through the big windows. 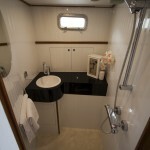 The pantry is equipped with a three-burner stove, microwave/oven, water cooker and a coffee machine. 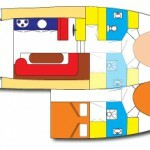 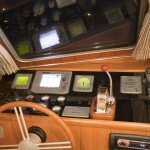 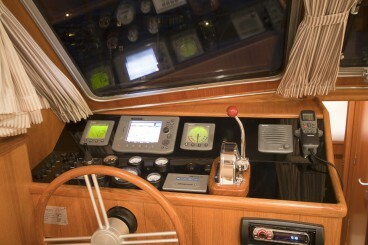 The open cockpit with outside steering and the large lounge with leather pillows make this ship complete. 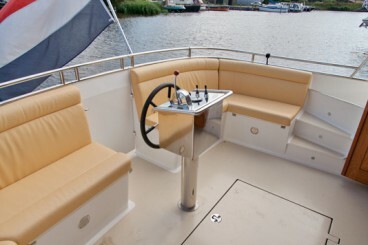 There are also deckchairs and a table so you can enjoy being outside as well.